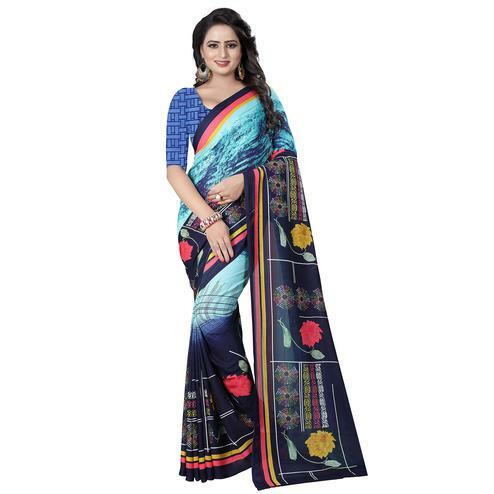 Get your casual look more beautiful wearing this blue bhagalpuri saree showcasing paisley prints and contrast color lace border. 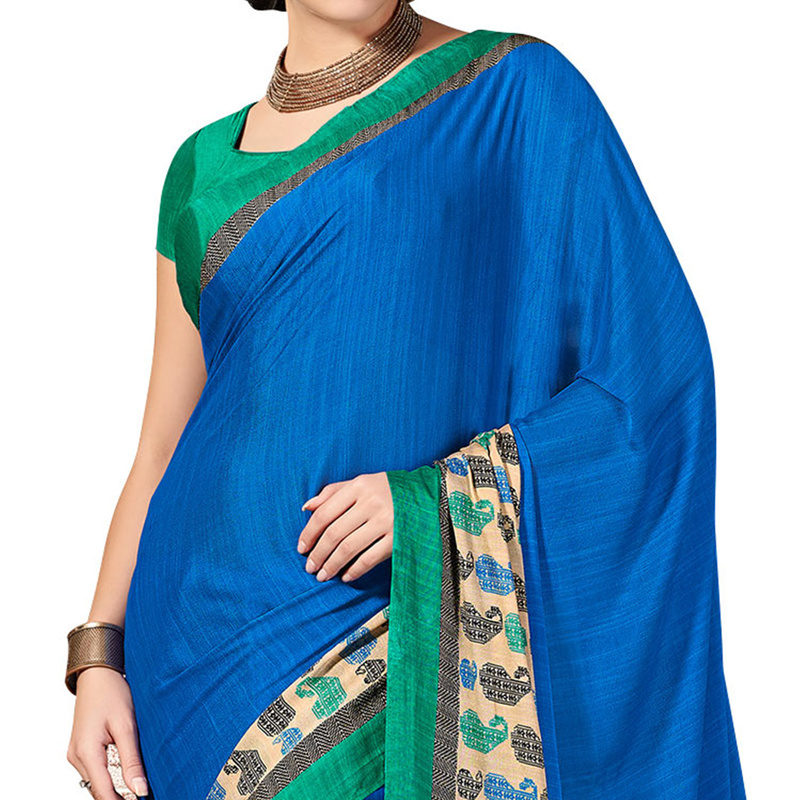 Matching fabric & green blouse piece comes along with this saree. 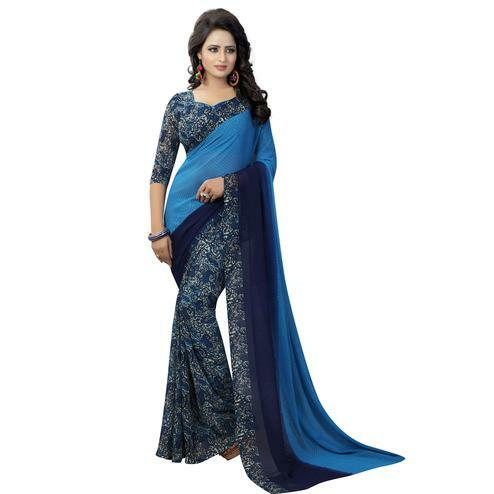 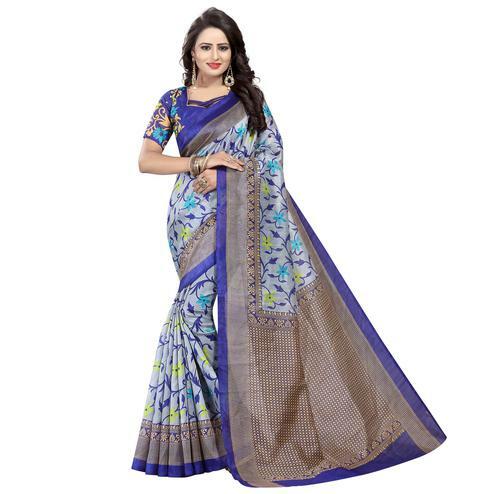 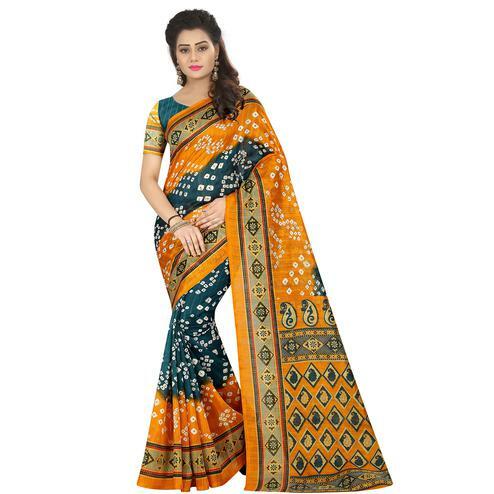 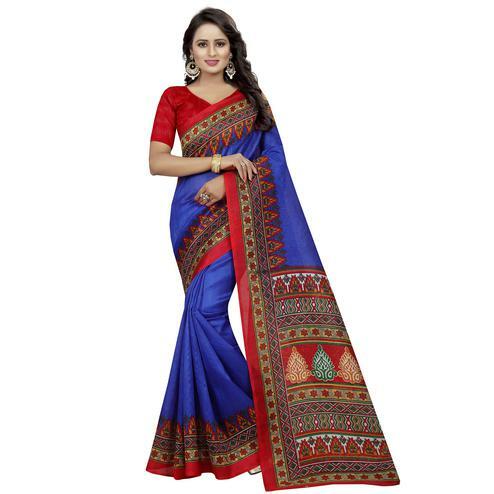 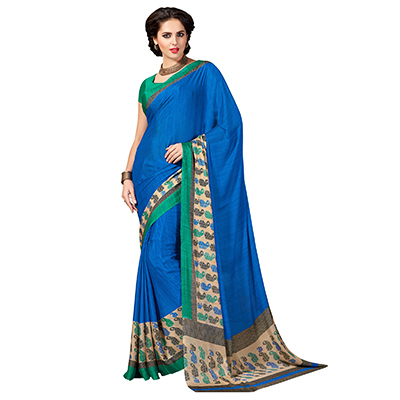 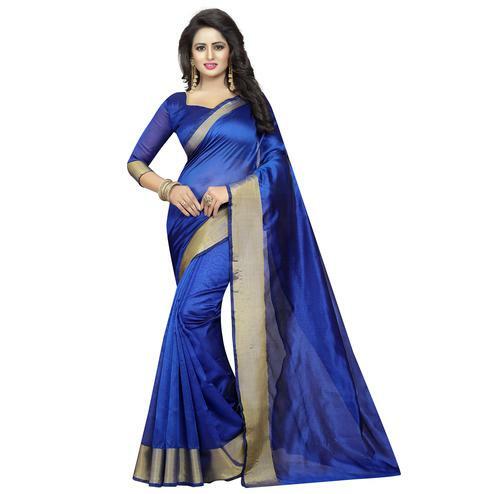 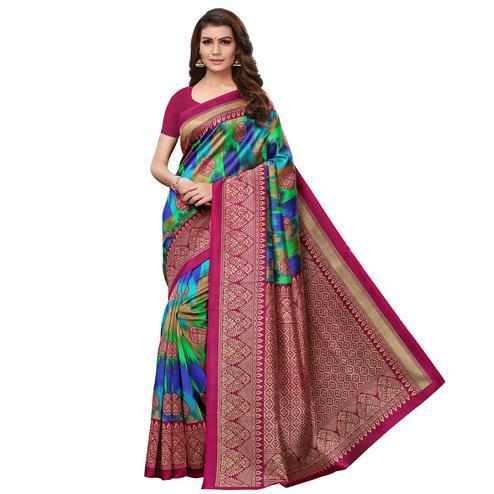 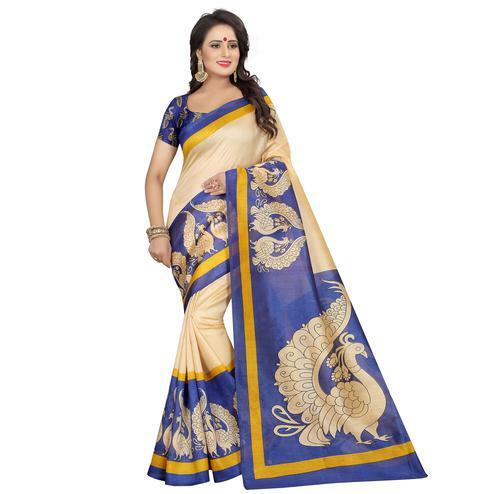 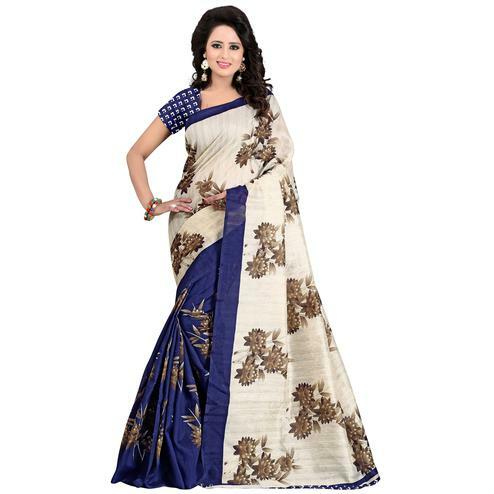 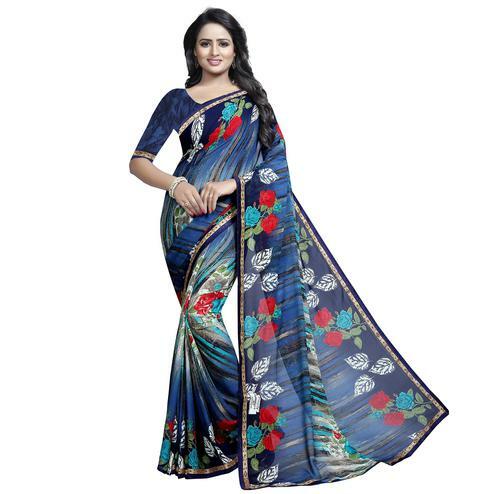 It's a perfect saree to wear for casual and daily wear.